Middleton Engineering offer bespoke solutions. All of our machines are designed using the latest 3D CAD software. Middleton Engineering manufacture an entire range of machines completed in house. Our team of specialist engineers ensure our British built machines are delivered to you on time. With over 40 years experience in the waste industry. Our specialists can advise on site layout. Whether you are upgrading or building entirely new facilities, we offer practical advice and solutions. 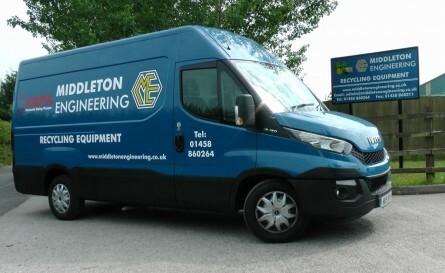 Middleton Engineering offer servicing for all types of recycling equipment. Our service team safeguard your investment for years to come with our tailored service and parts packages. 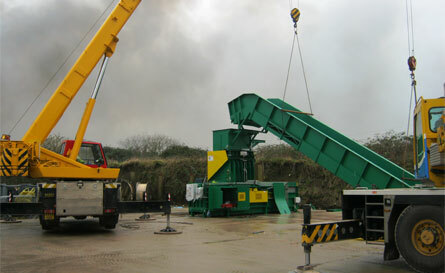 Middleton Engineering is a unique company that specialises in the waste recycling industry. We understand the demands of the industry are always looking for ways to improve waste baling solutions. Our clients are made up of local authorities, major UK supermarkets and leading distribution centres. Our unique capability is that everything is produced under one roof. We employ design engineers that use the latest 3D design software, a CNC machining department, large fabrication facilities, service workshops and an extensive storage department housing some 20,000 spare part for a full range of recycling equipment including our specially designed hydraulic cylinders. We handle a wide range of projects from simple refurbishments, service contracts to large scale turnkey installations. In 2015, Middleton Engineering celebrated 40 years of business. Having built a reputation for quality of work, excellent service and design innovation has established Middleton Engineering as a major supplying force within the industry, both nationally and worldwide. Our highly skilled management team and service engineers work in partnership with our clients to ensure projects are completed within the agreed programme and to the highest standards. 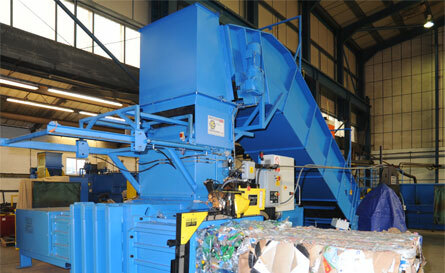 This recycling baler has a 60t press force, so is ideal for baling cardboard and paper. It is perfect for most locations due to it’s small footprint with low headroom, while also being robust and designed for easy maintenance. The HB PrePress are a range of prepress channel balers that are based on our original and proven HB60 HM Baler. The addition of the prepress design adds considerably to the throughput achievable. The ME closed end, semi-automatic baler range is ideal for local authorities and small distribution depots. The high pressure produces a compact bale, therefore reducing transportation costs. This baler has the flexibility to manage the widest range of waste materials, including hard plastics from TV and consumer electronics. The twin ram design produces denser and heavier bales. Britain’s first, One-Stop Solution to Bale and Strap your RDF/SRF with a Twin Ram Baler. We have developed our popular ME2R Twin Ram Baler range in order to produce a cost-effective Plastic Strapping Baler. Britain’s first One-Stop Solution to Bale, String-Tie and Wrap your RDF/SRF. 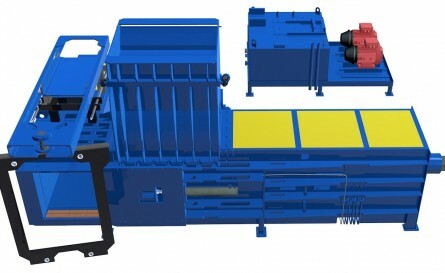 We have developed our popular HB60 Pre-Press Baler range in order to produce a cost-effective String-Tie Baler. The increase in baling productivity has been huge. The fact that it’s a British designed product with shared customer service values is particularly satisfying. The new Middleton baler adds additional capabilities to recycle difficult to handle waste streams. Producing uniform, highly compact bales helps optimise our transportation and storage costs. We were very impressed by Miles and his team. They did a great job on the installation and very proactive in handling any concerns that we had. Middleton Engineering were extremely helpful from the off. Nothing was too difficult and we quickly got a sense that we could work well together. They gave us a timescale and stuck to it. Essentially we were offline for just one day and baling in the afternoon. When it works like that it gives you massive confidence. Middleton Engineering provide an excellent service that we rely on When the main pump casing recently fractured, Middleton’s rapidly turned the job around – fitting a new pump, testing and checking the machine so we were back to work the same day. Middleton’s have been providing and servicing balers and conveyors to us for 16 years – we’re delighted with the service, the depth of the relationship we have with the company and indeed the quality of the product. Middleton’s were happy to come to Scotland to see our facility and to understand what we needed. They added a feed in hopper at the base of the conveyor at our request, which was key to our processes.